Seldom a year goes by when a new iPhone is about to hit the market, and at least one of the carriers doesn’t appear to pull out all the stops in an effort to reel in as many new customers as possible. In fact, each mobile data provider pulls at least one uncharacteristic stunt annually, but T-Mobile’s latest promotion is one of the most intriguing we’ve ever seen. Apple may no longer be the world’s leading smartphone manufacturer, but the anticipation regarding the next-generation device – strongly suspected to be called the "iPhone 5" – is as rife as ever. 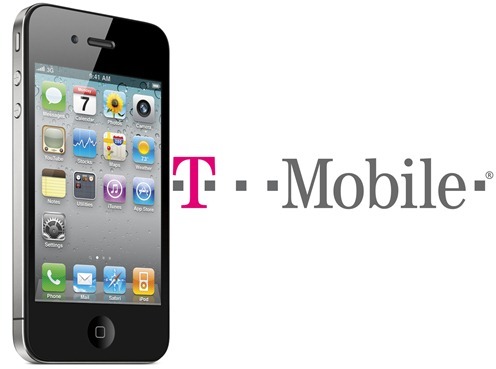 With 20 million units of the Samsung Galaxy S III having been sold since the end of June, it’s clear not everybody’s rocking an iPhone, but if you are, you might want to give T-Mobile’s offer a try. In a nutshell, if you take your unlocked iPhone over to any T-Mobile store from September 12th – the same day Apple will announce the next-gen iPhone – you can partake in its ‘unlimited and unlocked iPhone’ promotion. Each store will have a cordoned-off area specifically for the promotion, allowing consumers to sign-up to an unlimited data plan, while saving $50/month compared with an almost identical offer over at AT&T. Over the two year period, that’s a whopping $1200 saving – almost enough to cover the cost of a new device in between if you so wish. In addition, T-Mobile sales clerks will be on hand to advise people on how they can go about unlocking their devices, although they will not be carrying out any unlocking procedures themselves. The company doesn’t actually carry the device, since T-Mobile USA’s 3G/4G bands aren’t compatible with the iPhone, so speeds won’t exceed EDGE 2.5G. Still, when we’re talking about such a large amount of money, I’m sure many consumers will listen, and with unlocked iPhones not exactly at a premium given the imminent announcement, T-Mobile could certainly save you a decent wad of money over the next couple of years. Although T-Mobile cannot offer raw speed at this point in time, work on its 4G LTE network looks to be ticking over swimmingly, and T-Mobile also lets customers make and receive calls over Wi-Fi when no network coverage can be reached, which is a great bonus.